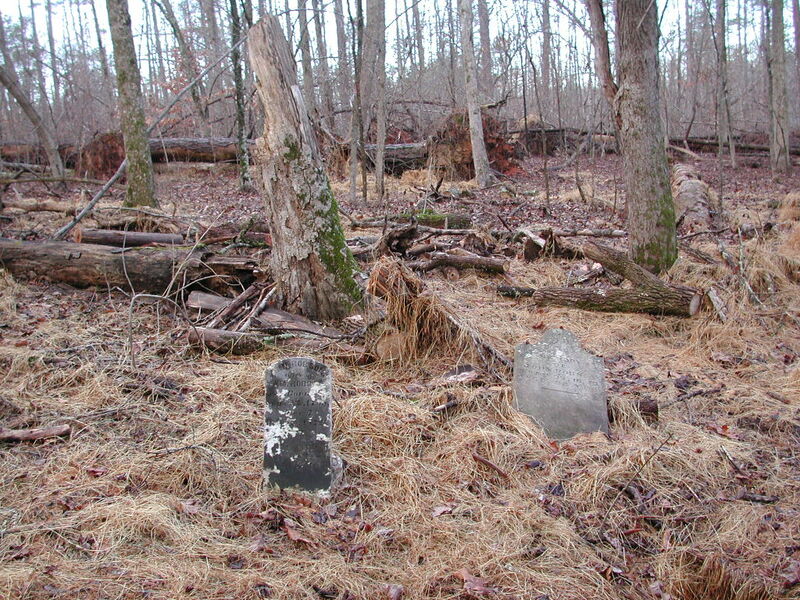 Be careful when you start looking for cemeteries in the deep woods. This is one reason why. A woman in KY, an avid cemetery hunter did what no gal should do. She had heard about a cemetery in the woods long sought after and went by herself. It was way off the beaten path. She found the cemetery and was getting ready to mark the names and dates down when she heard a click on either side of her. She was on her hands and knees. She looked up and saw a fellow on either side of her with a rifle, cocked. In her excitement, she had been pulling up grass and weeds to clear the stones. 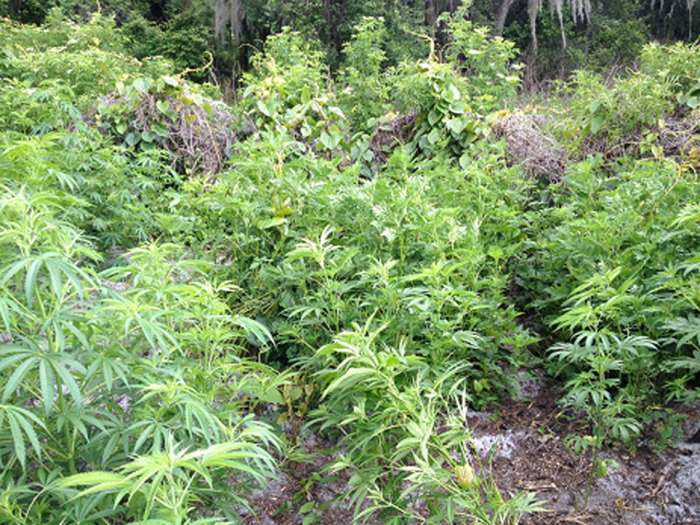 When she glanced down, she saw what she had been pulling … their”crop” ready for harvesting – the illegal type of hemp! Thinking quickly (and likely praying a lot!) she turned on the tears and said “Oh, I hope I’m not trespassing … I’m just so happy …. THERE’S GRANDPA!” “I’ve hunted for his grave for years (sob, sob), and there he is, oh Grandpa!” They took one look at her and just walked away. Never go cemetery hunting alone!!! By the way, she didn’t have the foggiest idea of who was buried there, but bet her real grandpa was proud of her! My friend Margaret was transcribing a cemetery when an old vault broke through under her and her leg went into the grave all the way up to her hip. She was hurt quite badly (a sprained tendon) and it took her several months to recover completely. You might need a friend to pull you out! Oh my! That is a very good reason. I’m glad she recovered completely. I was alone in one when 3 men appeared out of no where! They started asking me a ton of weird questions. I noticed how far away I was from my car & there was no way for me to get to it. Just then, a car appeared & I said, “oh look! there they are! !” I ran over to the car & the men left. I told the people that pulled in that they probably saved my life! I got stung by a wasp while moving a flower arrangement to photography a headstone. I have never had an allergic reaction to stings before, but, of course, the one time I’m stung while alone at a rural cemetery, I did. Luckily, I only got a little nauseous and dizzy (no breathing problemsn) and was able to drive myself home, but it was a while before I went cemetery walking again. Getting the permission of the property owner is recommended. And in most cases is required. Going with a friend is more fun! Rattlesnakes particularly. Most cemeteries are on high/hilly ground, where rattlers abound. yes ! 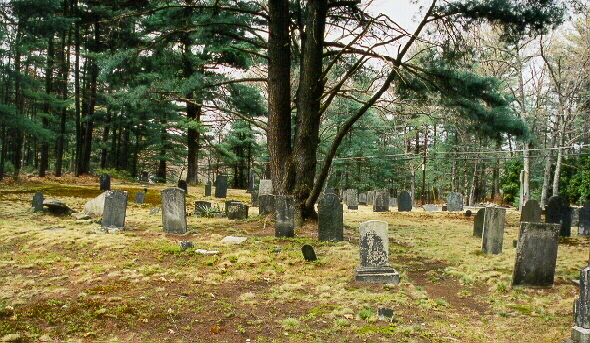 Snakes particularly in the very old graves where slabs of slate are on the graves in a tent position. I once fell in an old grave. While trying to read the marker on an early 1800’s grave in a national forest. The ground under me gave way and I went in about 3 1/2 feet. I had no trouble getting out believe you me. 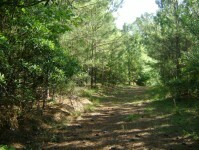 Snakes, hornets, cow ant, and wild hogs are also a danger when you’re out in the woods! Always be careful and have someone with you. Perhaps the best reason I can think not to go to cemeteries alone would be snakes!! Snakes just love old cemeteries…rattlers especially. The person who fell through the vault is just lucky there was not a family of rattlers nesting there. Been there. 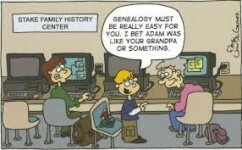 I will have to remember about ‘finding grandpa’. 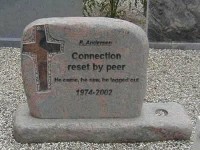 I have been to a few FindaGrave places that I wished I had someone with me. One looked similar to your pic. One way in, same way out. I did the same thing hunting arrowheads but instead I spotted them first and hid.Close call that time. We chased the Halliday’s down in Lumpkin, Georgia but it is totally grown up with huge briars and wild hedges. We know that my Great Great Grandfather is there along with some other family members but there is no way to get into it to score the graves. Sad state of affairs. Then on our farm in Moore, there are a host of graves (we think they are Cherokee Indian or Slave graves) on the land and this land needs to be restored and preserved. Don’t know where to start here. 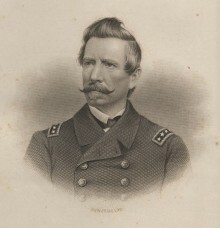 We did mark the grave of Samuel Miller ( mentioned in Landrum’s History of Upper SC) but I’m sure family members could be looking for the people buried outside of what once was a fort on the Tyger River. Jean, did you have Halliday’s in Alabama? I’ve got some with a dead end near Marion & Lamar Counties. Not home to get the info at the moment. Yes. My Great Grandmother was Nancy “Nannie” Halliday from Lumpkin, GA. She was “disowned” by her family when she married Charles Young. We are still trying to figure that one out because he was a wonderful man and good provider who died way before I was born. She lived with me and made it to 97. She wanted to be returned to Lumpkin, GA for burial but was buried in Roebuck Baptist where her daughter, Louise Young Jarrett and Albus Jarrett (Louise’s husband) are buried. Yes, Deborah, Nannie’s family is scattered all over lower Alabama down through Lumpkin, GA. We are putting them together now but there is a church in Lumpkin, GA where most of the ancestors are buried and it is still in operation and was organized around 1850. We also went onto the family land to the burial site which is over grown of the Halliday family. If you walk into the old court house down there you will find a photo of Nannie’s Daddy as he served as an attorney and representative in that area. go to your county historical society. someone there should know what it takes to preserve an historiical site. if it’s prehistoric, some one in archealogy will come and inspect it and decide whether the remains should be excavated or not. I love to do geneaology but always take someone with me! Good thinking! Michelle Bryant Summers, haven’t read the article but it made me think of you. And hopefully not surrounded by pot farms. Yep some people does that . I went out alone to do some tedious transcribing and picture taking. Although it was extremely hot, the first part of the day was uneventful. However, later that evening, when I got home I found a letter from the IRS. They wanted to do a random audit. My stomach sank. Now I know what you’re thinking. That letter had nothing to do with solo cemetery exploration. It still was a pretty bad day. I suppose it’s a good thing I would know it was no ordinary weed I stumbled upon in this case. I went to one thinking it wasn’t far off the beaten path, turned out it was miles off. Next day my car wouldn’t start. Thankfully that didn’t happen while I was in nowhere land with no cell coverage. The agreement with my husband is if the cemetery is on the side of the road I am allowed to stop and play (thats what he calls it)- if I am hunting something up and I am going out into the woods he and the dog both have to go with me. I think its fair- the one time I took my 18 year old son hunting in a different county I grabbed him before he stepped on a rattlesnake then told him wait cause there was another- needless to say we didnt go any further that day! I’ve read through all these comments and most seem fairly light-hearted about reasons not to go into a rural cemetery alone. . . snakes, pot farms, wild pigs, wasps/bees, etc. I’m sitting here wondering why in the world would ANYONE, especially a woman, do something like this alone? There are so many weirdos around, it’s just not safe. Maybe 30 years in law enforcement have made me a little skeptical, but I would advise against cemetery hopping alone. If you are planning to walk a cemetery located in a woods, don’t go alone. And Always tell someone where the cemetary is located, or there abouts.ive done a lot of cemetary hopping in the mts of north ga,Never Never venture it Alone . I’m wondering about this as well. There are 2 old cemeteries inside our city limits that I still make my husband go along with me, even if he sits in the car. These are places in which you have a false sense of security because they are sacred, holy places. People with harm on their minds don’t have any respect for sacred or holy. Always used the buddy system seems like a good rule of thumb. bears…and snakes…and wild pigs…and things that go bump in the night….take someone with you! I guess I’m just not ‘scaredy’, or maybe just not that smart, because it wouldn’t occur to me not to do something like this by myself. I can imagine getting into a similar situation! I have never gone into any extremely remote areas like in this story but many times have gone into very rural cemeteries where there was no one else around. The reason that I have done it and will continue to is because when traveling around the state to check out cemeteries I don’t usually have the luxury of having someone to hunt with me although that is much more fun. I travel places alone and don’t really think to much about it. In the future, though I will take my pepper spray just to be on the safe side! I have been fortunate that the cemeteries I have searched were close to the road, so I didn’t have to go way back in the woods. I loved going to these cemeteries, usually took pictures of the tombstones so I could always go back and examine them at home, rather than standing in one spot writing down the info. and now that my knees aren’t too great, I miss being able to search, now I cut out obits from our local newspaper and post them on Find a Grave. Advice is not to go alone, but then you may be putting the other person in harms way too! Remember there were 2 men, 2 guns. Just saying…. Hi Donna, I have Causey’s in my family. Mine were in France in about n1750. 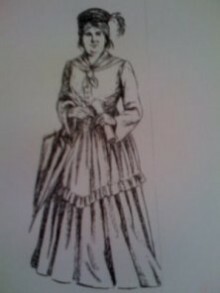 My 3rd g grandmother, Margaret Causey was born in Butler Co, Ky in 1813, she married Joseph Cohron there also. I can’t seem to make a connection with the Irish Causey’s. It doesn’t have to be a cemetery in the woods to be dangerous. 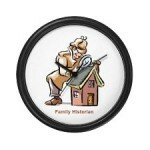 We had friends (Husband and wife) who went to a cemetery in Chicago to look for family graves. Luckily, the man was a prison officer and always carried a gun. They were stalked in the cemetery by a man who came at them with a knife. When my friend aimed his gun at him, he ran off. But that was a close one for my friends. I would have to bring my friend Smitty with me (aka, Smith & Wesson Bodyguard) and probably my Damsel In Defense Striking Distance stun gun and Pepper Spray!! i hardly gave it a thought when i tried to find Seabolt Cemetery, in Nicut, Sequoyah Cty, OK last summer. 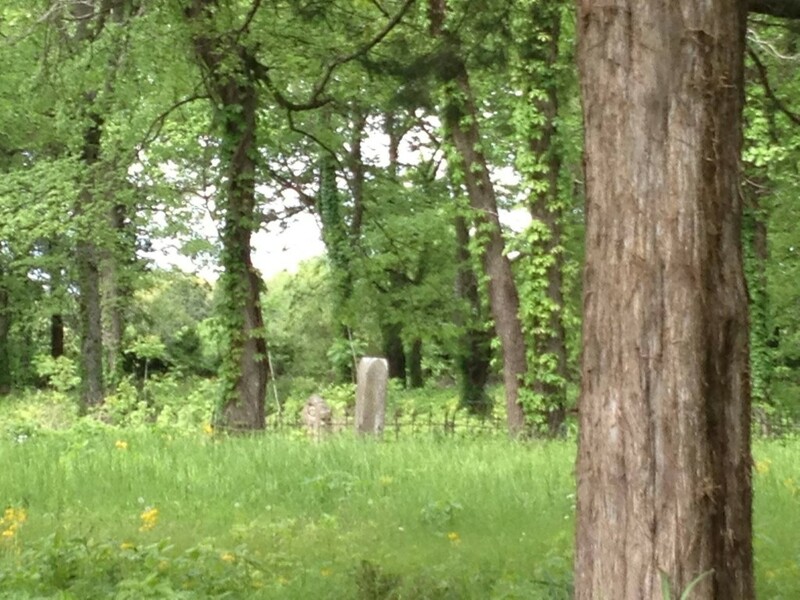 it was WAY off the beaten path…2 people i asked about the cemetery had never heard of it. not even sure if there was proper cell service! but i eventually found this little place and i tell you what…i was the only one there in this sort of horseshoe shaped cemetery. at least for a while. i was wary of what was around me, in the sweltering sun. i never shut my car off, but did lock it. (i have remote start) and i drove it every 50 feet or so, so that it wasn’t far from me. but if someone DID try to chase after me, i wouldn’t have gotten far in the rocky ground, with flip flops on! i’ll be more careful next time! I have to be more careful. My thinking has always been who’s going to bother me in a cemetery. I have seen snakes, but the deer and I have about got into it trying to get out of each others way! I was in an old family cemetery that only had immediate family with their slave burial site right next to theirs in Georgia…I took several pictures and when I got home and downloaded them onto my computer, there was a hazy figure of a man in the background watching me…The cemetery was next to the old home place…The man appeared to have knee high black boots, a red long coat to his knees and some kind of hat. ..it is very interesting to look at…..
That does sound interesting! An Old One passed over, still keeping watch over his kin. Would love to see the picture. Have you posted it – sent it to anyone to have it analysed? Neat! I’ve had 2 guns pointed at me at different times, but both for the same reason. We were in a rural area, stopped the car to look over property that used to belong to an ancestor of mine and I still had a passed down interest in it. On the first time, we were standing in the road just looking up at the woodsy hills when a man came upon us with a gun asking who we were. We explained that we were Leonard heirs just looking for the property and his response was “Leonard heirs! I ain’t never seen one of them!” On learning who we were he was very hospitable and took us all over the property showing us the boundary lines and where it adjoined his property. The folks out in the country learn to protect themselves as there sure aren’t any police around to be their protectors. The second time was the same reason in a different area. You’d think I’d learn – country folk want to know who is standing looking at their property and why!! So out come the guns until they get answers. Your answer better be good! Rattlesnakes are also notorious for being under fallen headstones. Wow! I’ve seen black racer snakes sunning in old cemeteries and I quickly left. I did the alone outing and ended up 5 miles up a dead end dirt road. Only thing around was a hunting camp. Thankfully everything went okay but the next day my car’s started went out and I was stranded in downtown. Glad it wasn’t out in the middle of nowhere Shelby County. Yes, have encountered snakes, too. i have known two people who were snake bite at this time of the yr. (FALL) both were by copperheads!! Be careful !! They are sneaky! My mother and father’s ancestors were from Dale and Coffee Counties in South Alabama. Both of my parents were born there also. My mother was born in Dale County and my father was born in Coffee County. 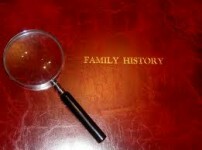 My mother’s family was Watkins, McCarty and Bullard. My father’s family was Adams and Davis. Never go into the back woods in Kentucky for sure.! That has always been a big NO NO! Kentucky it was, not Bama. I was in an old cemetery in Lafayette recently but it is not hidden but ill keep this in mind! I’m afraid I would have asked him if he could spare a dime bag or two….I’d be more worried about rattlesnakes. Da war were fought there too, so they made dew. Graves yards all over. I have been to one old cemetery alone. It is in the middle of our small town and well kept. I thought it would be fine. It was until I heard the skin tingling, hair raising rattle coming from under the bush that I was standing beside. I high stepped to my car in record time. Oh I got the photo. In this case, having a buddy along would not have helped… Just two bodies instead of one. She was really clever. Thanks Kathy, very interesting story. You also need to worry about old houses were meth is being cooked. Well when we were doing family research we went in to a number of cemeteries. They can be bad in summer time,grass up to your waist.You could come out covered in ticks. We’ve been in a lot o cemeteries. Good luck so far, no snakes or crops. Had seen this before. Priceless. Must have been in Walker County! Download an app like Swarm on your phones. 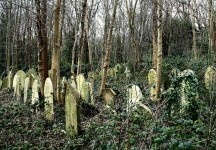 Some cemeteries are now located in bad neighborhoods. There are a few in modern day Prichard that could be cleaned and researched if they were not in such violent areas. It’s hard to believe that Prichard was such a thriving and decent place in the 1930-50’s and today it looks like a war zone. Kennamer Cove Cem. is one bad one. Who WAS in that car?!?! Orrr…know what marijuana looks like. Pam Braxton, Tena M. Arnold! well, poot. Means you have to go with me to Georgia soon. 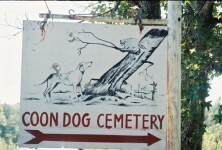 Sounds like something I would do… I love going to old cemeteries! Be careful while in backwoods cemeteries, rattlesnakes can abound in the summer. One that we, no I didn’t go alone, watched a rattlesnake slither up under an old grave stone. Always have my hubby with me. I don’t think anyone would get near me because I’m talking to to the residents there! I also am crazy about history. My son just completed a report and photos of Gardendale, Alabama. We have a cemetery right behind our house called the Belcher Cemetery. it only has Mr. Belcher, his third wife, his daughter, two other unknown females, and two unknown males, and possibly more but no one knows. There are only stones and three hand made crosses. I drove over for the day to put flowers on my grandparents’ graves. It was late in the afternoon but I had flowers left so decided to drive to my great grandfather’s grave in a very rural area. I had been taught from childhood not to step on graves, but I was more afraid of getting stuck in that desolate area after dark. So I ran straight to my ggfather’s grave, rather have weaving around the other graves, and about 3 graves from him was running straight across graves when the foot that landed in the middle of one grave kept on going down into the grave. At first I was terrified the leg would break since I was running. I pulled it up as quickly as I could, minus my tennis shoe. I decided I wasn’t sticking my hand down there for my shoe, so I put the flowers on his grave, apologized, and explained those would probably be the last flowers from me and I hope he forgave me, then limped back to my car. I guess I’m just a cautious person. Because I always let someone know where I’m going if it’s somewhere out of the ordinary. I have an over active imagination and I always think of the “what if’s”. What if you broke down or had a flat tire on a lonely country road and some psycho came along and kidnapped you. No one would have the slightest idea of where to start looking for you. Even as a teenager, I never minded letting someone know exactly where I was going and all the stops along the way. I guess because I was a natural worrier, I didn’t won’t anyone to worry about me. You never know what came happen nowadays regardless of what you plan to do. Let someone know where you play to go and how long you plan to be, just to be on the safe side. Caddo Historical. You gotta read this!!! My aunt went looking in a family grave yard that’s historical today. She had to go deep In The woods but the only thing she almost got I trouble from was a huge 12 year old rattle snake. Thank God she had a gun. How did she know how old it was? Did it one time..won’t do it again. She found pot growing and the growers were armed. She pretended it was her Grandpas grave and the armed men just walked away. They are often lonely deserted places and perfect for a random sexual assault or a snake bite. Please all of us who love these places use your common sense when exploring! I was taking photos at a rural cemetery near sundown when a skunk appeared and walked all around between me and my car. He refused to leave for about half an hour.